The Review:Okay, so I’m going to be a total fan girl right now. I just love Rachel Caine’s ability to write a long lasting series without losing her touch. There have just been so many of them that I loved in the beginning but the passion (and quality of writing) simply died halfway through (e.g. House of Night, Sookie Stackhouse Books, Anita Blake to name a few). So as an author I’m impressed. And as a reader I’m grateful. Kudos to Ms. Caine for creating characters that stayed true to their nature, matured throughout the series, and played their parts brilliantly. 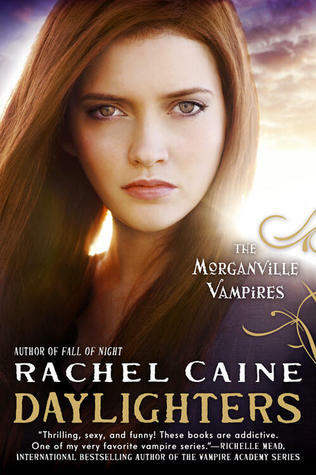 Back to the book – this is the last of the Morganville saga and I’d been wondering how all of the loose ends left after the end of Fall of Night were going to be wrapped up in this final book. Morganville has been taken over – again – and we see the residents still struggling to come to terms with what that means. Where they think they’ve been saved, they quickly learn that they've just exchanged one dictator for another. Only the Founder’s house residents realize what’s happening and actually decide to do something about it. This book was filled with action from one chapter to the next and kept me reading long into the night. I really hate to see the series end, but think it did on a good note. The Good: Fast paced, intense storyline, and excellent adventure. The Issue: I wanted more Myrnin and I’m not sure I agree with Claire’s BIG decision at the end – thought it might be a little too illogical for her brain (there’s no reason she couldn’t have waited a few years). The Rating: 5 conch. Brilliant end to a fantastic series!